Hey y'all, happy Friday! So today instead of art I thought it would be fun to show you what I have actually had on my nails for most of this week for Spring break. What I found would be fun to have on for many days in a row and what would have great wear! 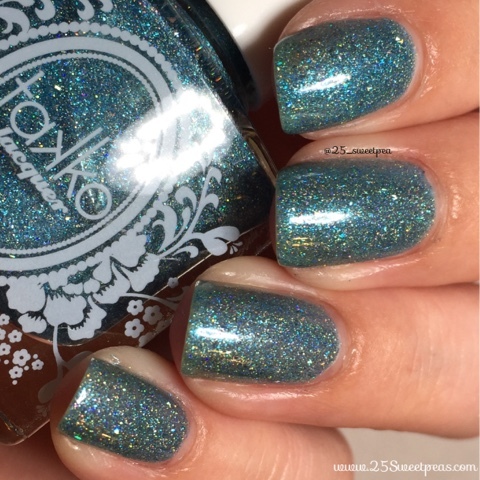 For this week I chose to wear Ocean Glitter by Takko Lacquer X 25 Sweetpeas. I picked this one for a few reasons. For one it has amazing wear, and the other reason is that it's gorgeous in the sunlight. 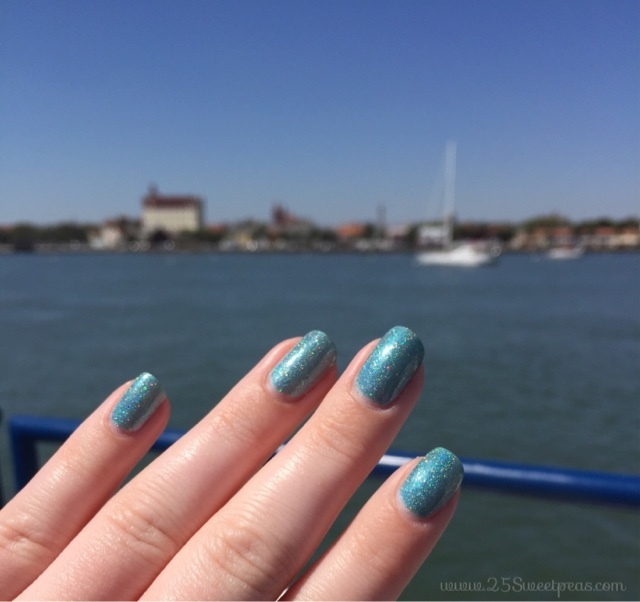 Oh and it's called Ocean Glitter and I have been to the ocean a few times this week. 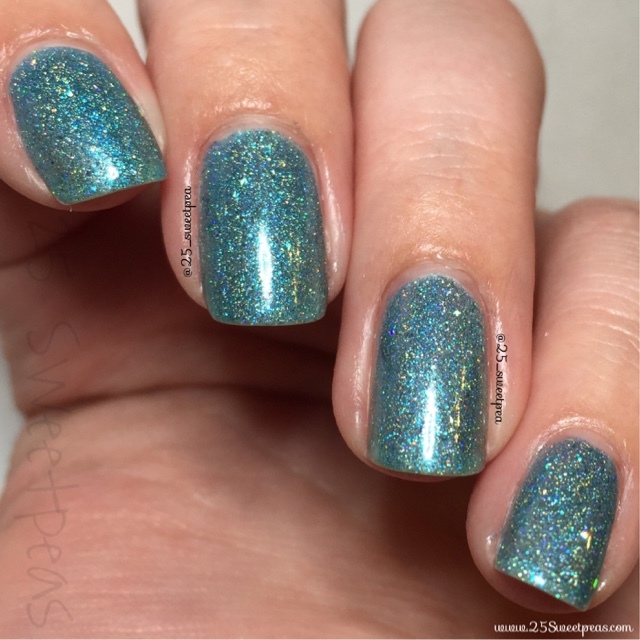 ;) I actually named it after the ocean! 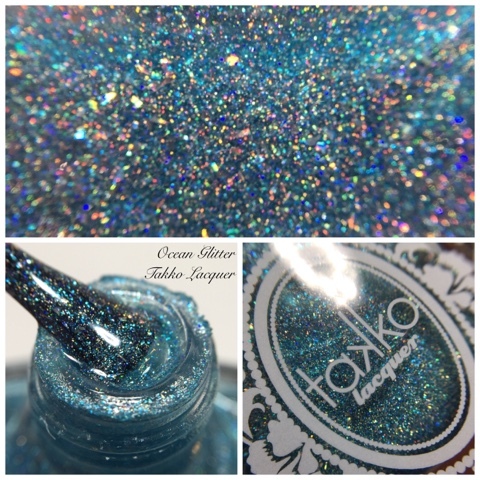 Next up I have a macro pic I don't know why but it shows up more blue in the macros when it's actually turquoise. 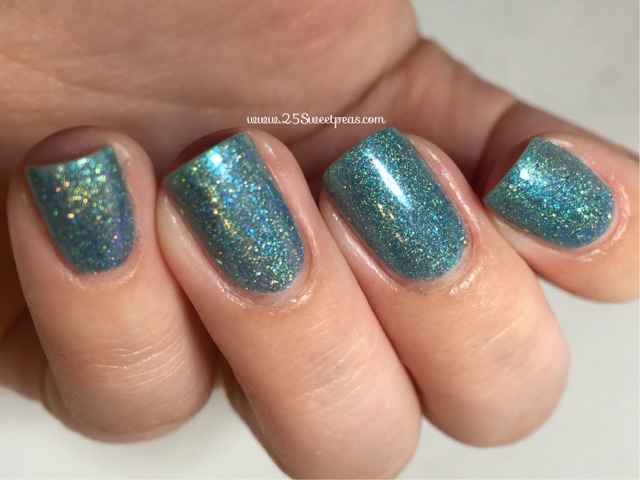 However you can see all the rainbow holo goodness. I took a bit too many pictures of it! Not sure why but I did and well I love it too.